armed with a Thunder Stroke® 111 V-Twin. But power isn’t this bike’s only intimidating feature. Its look is as equally menacing. 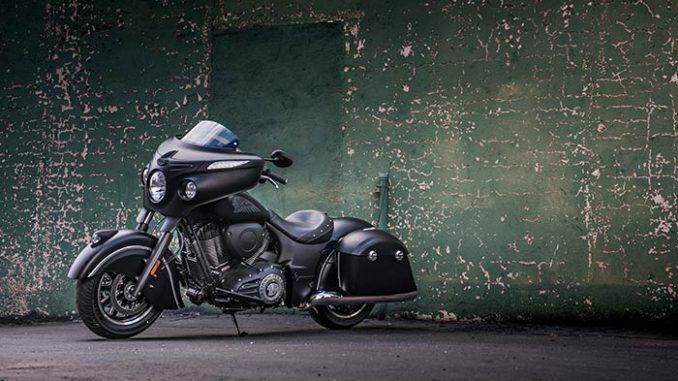 Matte black from nose to tail, including that unmistakable Dark Horse® fuel tank, solo seat, and the Indian Motorcycle® headdress on the front fender. It comes standard with a short tinted power windscreen, spacious power-locking bags, ABS, electronic cruise control, tire pressure monitoring system, 100-watt premium audio system with Bluetooth® connectivity and smartphone compatible input, and remote key fob with keyless ignition. 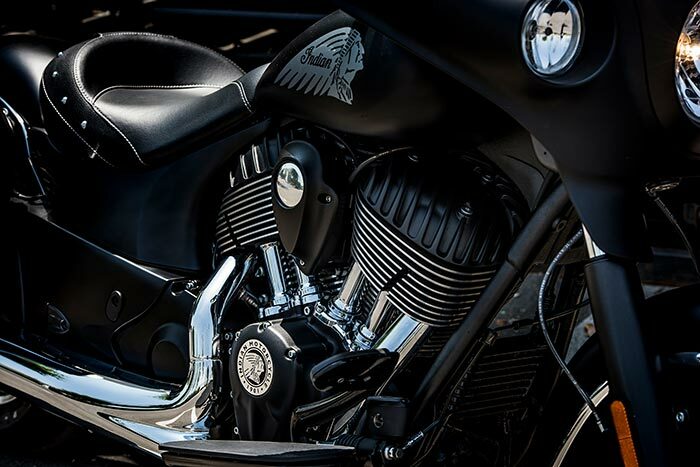 other blacked out components, the Chieftain Dark Horse® begs for you to make it your own. It all adds up to a presence that refuses to be ignored. And an attitude riders won’t soon forget. The latest addition to the Dark Horse® family, this badass bagger is powered by the legendary Thunder Stroke® 111 V-Twin. 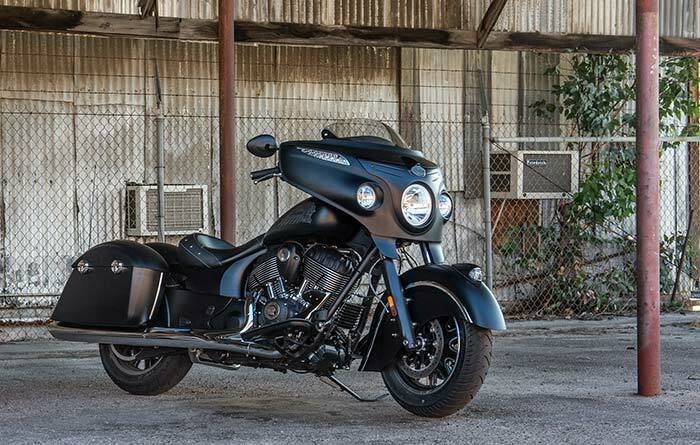 But what really sets this bike apart are its exclusive features, like a blacked-out fairing, front forks and, of course, that unmistakable Dark Horse® fuel tank. It all adds up to a presence that refuses to be ignored. Be legendary. Remains the same as last year’s 2016 model, but won’t come with Ride Command like other Chieftain models do. 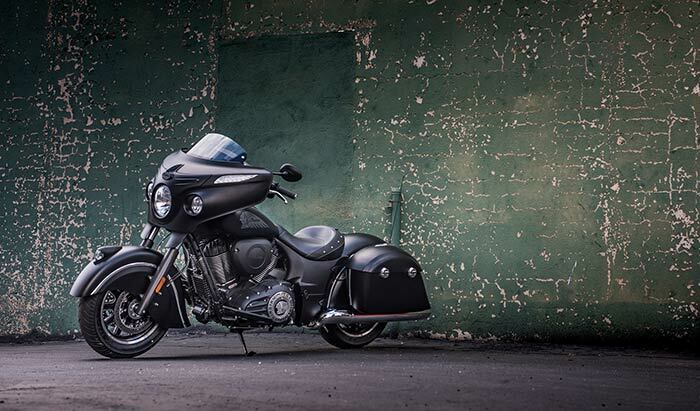 The steering geometry of the Chieftain Dark Horse® is engineered to deliver light, responsive handling, whether you’re riding solo with no cargo or two-up with full saddlebags. To design this fairing, our team looked for inspiration outside of the motorcycle industry. They landed on the sleek and powerful streamliner locomotives of the 1950s. 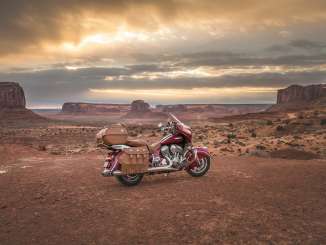 With these classically styled machines as their guide, a new icon for Indian Motorcycle was born. And this blacked-out version creates an even more dramatic look. A blacked-out version of the most powerful icon in motorcycling. 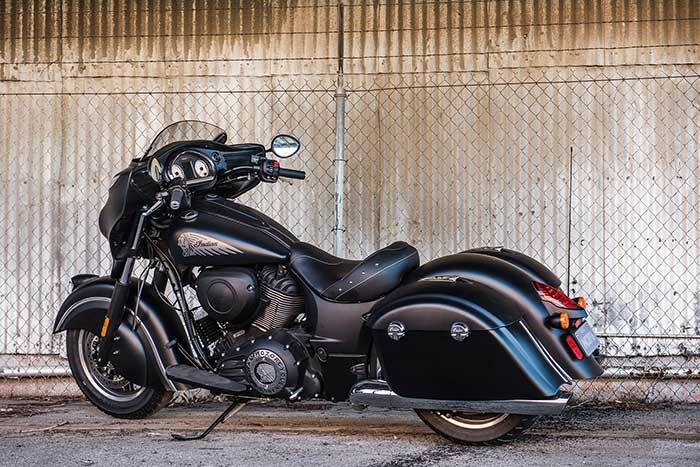 Since 1947, the illuminated Headresss has graced the front fender of nearly every Indian Motorcycle, guiding the way from legend to legend. With a push of a handlebar-mounted button, this short, tinted windshield can raise or lower electronically. Drop it down for in-town cruising. Or raise it up when you want to hit the highway. Built into this blacked-out fairing is a 100-watt audio system, producing premium-quality sound from dual high-output speakers. Smartphones and other audio sources can be connected via cable or Bluetooth®. 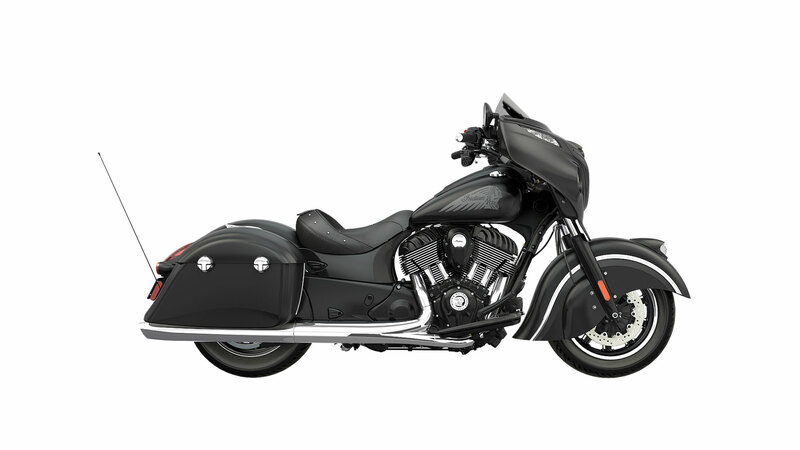 Of course, the Chieftain Dark Horse® offers the latest technology, including Premium Audio with Bluetooth compatibility, push-button saddlebag locks, a height-adjustable electric windshield and a tire-pressure monitor. Classic 2/3 head-to-cylinder neck down.